I have been under a lot of pressure to provide the winter forecast. And the snow outlook is probably the biggest demand. OK, you will get what you want. 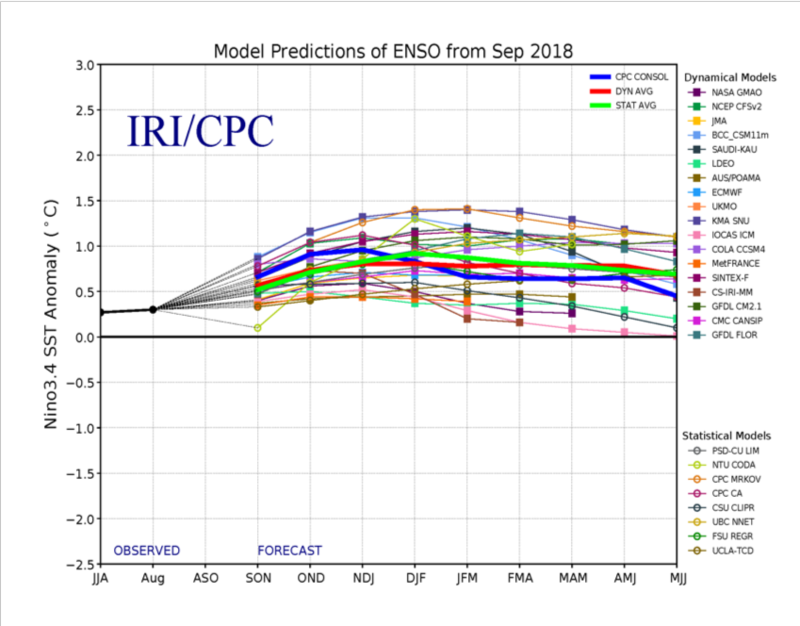 The skill of our forecasting models really fade after two weeks with the extended prediction models having virtually no skill months ahead of time. The most useful tool we do have is the correlation of the temperatures of the tropical Pacific, quantified as El Nino (warm water), La Nina (cool water) or neutral conditions (La Nada), and the weather over the Northwest. The correlation is not perfect, but gives one an idea which way the atmospheric dice are weighted. Let's start by look at the temperatures of the tropical Pacific, with the temperature of the Nino 3.4 area being the most closely monitored (see map). 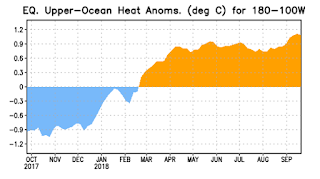 The sea surface temperature (SST) anomaly (difference from normal) is shown below. 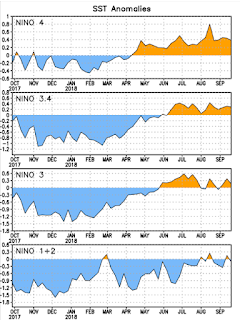 As you can see, the Nino 3.4 area this spring went from colder than normal (La Nina) to weakly above normal. Neutral or La Nada conditions area associated with the SST anomalies being between .5C and .5 C. That is where we are now. 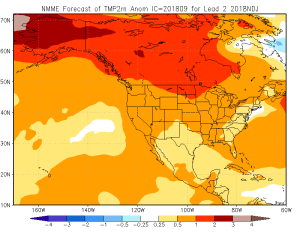 And if we look at a collection of forecast models, they are pushing the temperature anomaly to about 1C above normal in the Nino 3.4 area (see below). 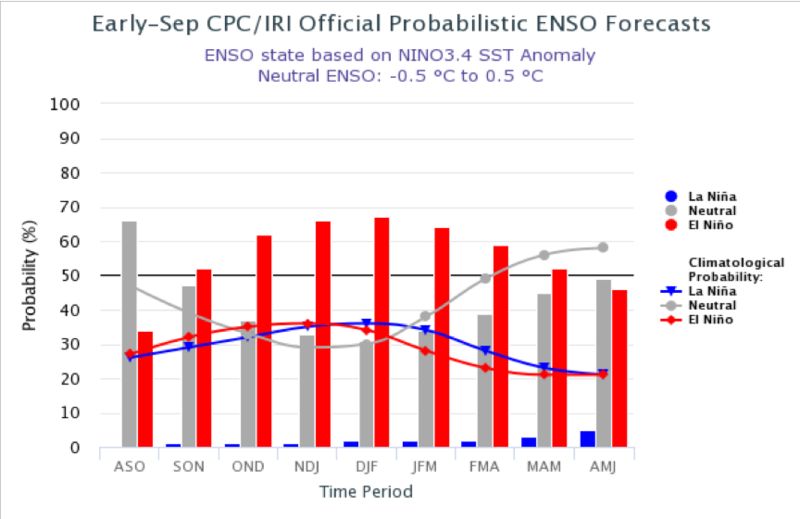 A weak El Nino. 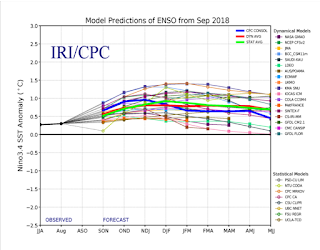 The official Climate Prediction Center prediction is for us to move from neutral to weak El Nino, with roughly a probability of 65%. But we have an issue. 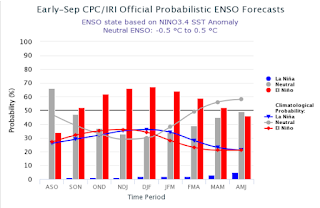 To get a significant El Nino signal, one that really changes the midlatitude weather pattern, one needs a moderate to strong El Nino. In those circumstances, the Northwest is generally warmer than normal, the jet stream splits over the northeast Pacific and good portion of the jet stream heads south towards southern CA. So warmer than normal seems a good bet. 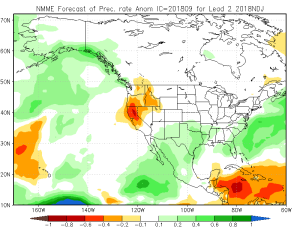 Let's take a look at one of the best extended forecasting modeling systems (but still with marginal skill), the North American Multi-Model Ensemble (NMME). I will show you the average anomalies (differences from normal) for precipitation and temperature for November through January. Precipitation? Drier than normal over much of the Northwest, but close to normal over western Washington. Temperatures? Around .5C above normal. The implication of all this would be a lower than normal snowpack in our mountains this winter. Lower heating bills. A slow fill for our regional reservoirs. One thing I do know...the next three days will represent the most perfect fall weather you can imagine. Perfect day time temps, cool nights, leaves starting to turn. My favorite season. Awesome, finally snow fans this is what we've been waiting for! We have had multiple La Ninas in recent Winters with predictions of more snow...which have never come about. 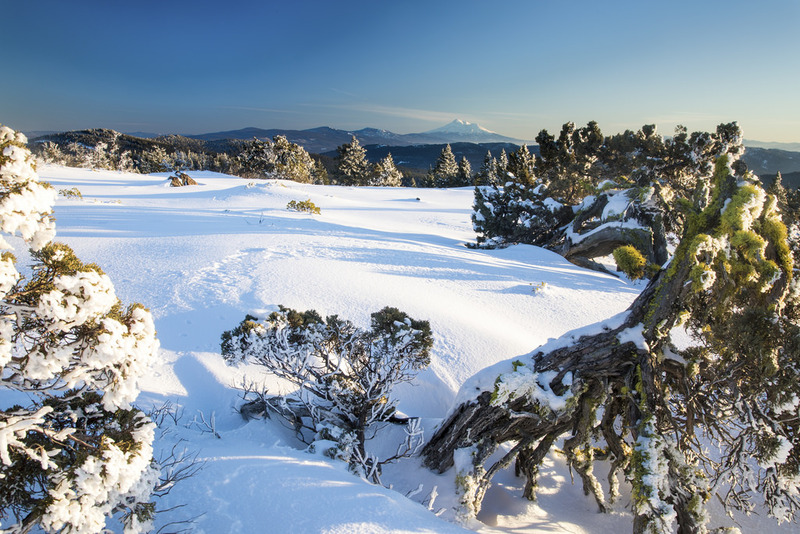 The last real snowstorm the region got was 7 years ago, a long stretch even by NW standards. 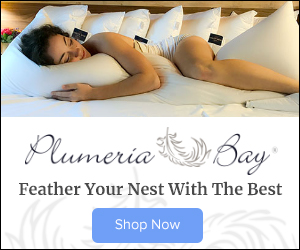 Why do people put you under pressure to provide information that (as you accurately predict) are often worthless when the results actually come in? I'd tell them to go pound sand and do something more worthwhile. The NWS offers long range forecasts with more caveats than then the medicines you see advertised on TV. Sulla - a few years back all of the long range forecasts called for a milder than normal winter in the Portland area. The result? Yeah, you guessed it. Very nicely done. It's good to hear an expert explain the limitations of the current state-of-the-art as well as a good survey of the data that is available. I can't help but notice what's happening to Alaska. Quite warm! Is Alaska looking at a +2-3C anomaly for this winter? Why is it that with the exception of Labor Day weekend, all the nice weather this month has been hitting the week, with clouds and rain on each weekend? I appreciate the much-needed rain but seriously, for the past month the highs have been timed for the week! Statistically, it would seem unlikely to get two days of rainy weather on a weekend (last weekend) followed by five days and five days only of sunshine during the week. If I didn't know better, I'd say the weather gods are trying to stick it to us working stiffs. Or could it be that the shortwaves in the jet stream have a period of one week, and the nice part just happened to be timed for the week? Thought I saw some skies yesterday over the Olympics and north of Whidbey (from Edmonds). Could have been marine air. THE CHILL OF SOLAR MINIMUM: The sun is entering one of the deepest Solar Minima of the Space Age. Sunspots have been absent for most of 2018, and the sun's ultraviolet output has sharply dropped. New research shows that Earth's upper atmosphere is responding. "We see a cooling trend," says Martin Mlynczak of NASA's Langley Research Center. "High above Earth's surface near the edge of space, our atmosphere is losing heat energy. 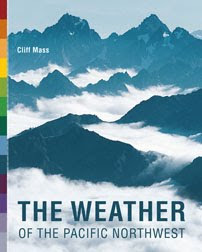 If current trends continue, the upper atmosphere could soon set a Space Age record for cold."